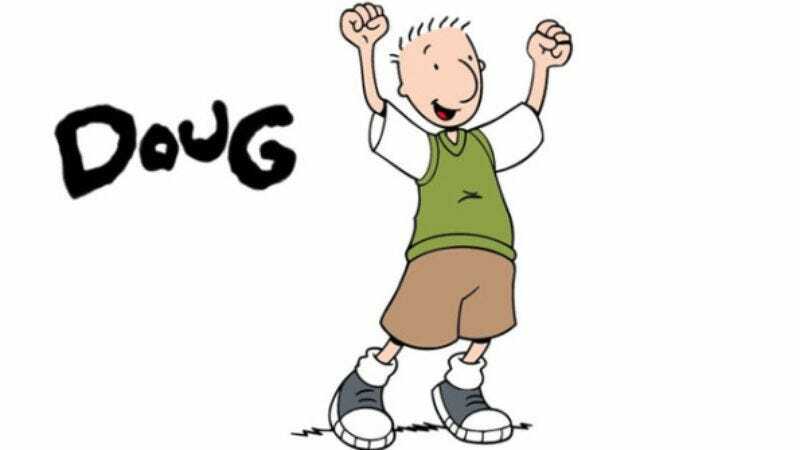 One of the three original Nicktoons, Doug would have been have been somewhere in the middle of its four-season run on Nickelodeon when Ice Cube released “It Was A Good Day,” a single from third solo album The Predator, in 1992. Other than their chronological proximity, the animated series and the hip-hop classic would seem to have very little in common. The tongue-tied, soft-spoken, generally nebbishy Doug Funnie might be in the running for least gangsta cartoon character of all time. But in the hazy, Surge-damaged memories of ’90s kids who grew up on basic cable television, zoning out to Doug and nodding along to “It Was A Good Day” are all part of one big, nebulous blob of experience. And now, veteran YouTuber Adam Schleichkorn (a.k.a. Mylo The Cat) is ready to transport viewers back to the halcyon days of the first Bush presidency with an epic Doug/Ice Cube mashup video. This is not a performance video, per se, and there is only a minimal attempt to make it appear that Doug is lip-syncing the song. Instead, what Schleichkorn has done is assemble some vintage Doug clips to match Ice Cube’s lyrics, which can only be described as grimly optimistic. The video follows Doug on a better-than-average day in the quaint, colorful community of Bluffington. His dog, Porkchop, doesn’t wake him up with bothersome barking, and his breakfast is pork-free. Once Doug is out on the street, local bully Roger Klotz doesn’t rob him. (“Looking in my mirror, not a jacker in sight.”) Later, Doug gets to spend some quality time with his pal Skeeter and display his skills on the basketball court. Better yet, Doug gets a call from his crush, Patti Mayonnaise. The only real note of discord is when Doug wonders if he will “live another 24.” Maybe Bluffington was a more dangerous place than it seemed on TV.